Tech-savviness is generally a good thing, but the agencies that make the most out of technology are ones that not only enhance their internal processes, but also to improve the overall customer experience. The Montana Liquor Control Division is a great example of this: through its commitment to technological advances, the agency has created both an online licensing program and an online training portal for its external partners. Additionally, the division has worked to expand educational program offerings to collaborators across the state in an effort to maximize the sharing of information and resources. It’s all part of Montana’s desire to create a more collaborative relationship with all members of the beverage alcohol industry throughout the state. Administered under the state’s Department of Revenue, the Montana Liquor Control Division serves two primary functions. It’s both a liquor licensing bureau and a liquor distribution warehouse. Based in Helena, the division consists of 32 employees and oversees 96 agency stores, all of which are franchised or contracted; none of the stores are owned directly by the state. Since 2006, the division has been led by Administrator Shauna Helfert, who also served as chairperson of the National Alcoholic Beverage Control Association (NABCA) in 2009 – 2010. Prior to her role as administrator, Helfert ran the division’s Liquor Distribution Bureau. She also worked as an auditor for the Corporation Tax Unit with the Department of Revenue, and as a human resource officer for the Federal Department of Agriculture. Helfert’s unique background gives her an edge in her current role. Similarly, Helfert thinks that her time spent as an auditor in the Department of Revenue helped her excel in her current role. Crediting that professional experience with helping her understand how businesses operate, Helfert says she can better relate to the different types of businesses that apply for liquor licenses, providing them with better guidance and customer service. The division has seen steady growth in sales and revenue over the past several years. In its 2014 fiscal year, Montana generated $124 million in sales to agents and $36 million in total revenue. Along with accelerating growth, much of the division’s efforts over the past several years have focused on the development of its Taxpayer Access Point (TAP), an online licensing system. Under Governor Steve Bullock’s “Main Street Montana” project to foster a business-friendly climate through efficient and effective government and Helfert’s direction, Montana began overhauling its online licensing system in July 2013 in an effort to provide better service and more convenience to its customers. “Our goal with a new system was to make the application process easier for customers, so they don’t need to spend as much time and energy on it as they did before,” Helfert explains. After evaluating its old 20-page paper liquor application, the decision was made to create a new online application that eliminates unnecessary questions based on the information people input, vastly simplifying the sign-up process. By partnering with an outside company, the state was able to design a new system that allows people to apply for a liquor license, pay license and renewal fees, check to confirm that their payments have been processed, and report licensee changes online. The only feature the system doesn’t boast is the ability for applicants to upload their fingerprint cards, which are required in order to conduct mandatory government background checks for all licensees (fingerprint cards must be mailed in separately in order to complete an application). Users may opt to mail in other information that may be difficult to upload to the application directly, such as location blueprints. In addition to serving as a hub for licensees, stores use the same web system to view inventory information and place product orders. Store agents can also use the system to pre-order holiday products that will ship later in the year. The new system has also created efficiencies for the bureau as well. Additional features include an automated function that adjusts an agent’s order quantities when a supplier delivers less product than was initially ordered. This results in a huge time-saver for the division, which no longer needs to log into each order that was placed and adjust quantities manually. Local governments and the public can also access the system to view and print license information without having to request reports from the agency. The online application also provides value to the gaming industry. In order for a business to obtain a gaming license in Montana, it must also hold a liquor license. Montana’s Liquor Control Division collaborates with the Department of Justice to maintain a joint application that allows people to apply for both licenses at once. “It saves people time and also avoids the hassle of having to go through two different agencies,” Helfert says. Before launching the system, it was tested by some of Montana’s top licensees, who offered feedback on features and usability. Implementation and roll-out of the system took about a year, starting with on-premise applicants in January 2014 and expanding to include manufacturers and special permit requests by summer 2014. Overall cost? About $200,000. Helfert estimates that about 25% of new applications are currently being submitted using the online process, although applicants still have the option of sending all their information through the mail. The mail-in option will always be available to accommodate people in rural areas who don’t have Internet access or who simply prefer the paper format. Currently, the division continues to work to promote the new online licensing system with a goal of increasing participation to 40% – 50% in the coming year. Announcements about the system are prominently featured in the division’s monthly industry newsletter, and are also detailed in each license renewal letter that is mailed out. In addition to the TAP online licensing system, the LCD also developed an online portal to aid in training processes. All alcoholic beverage sellers and servers are required to complete a training process (although it isn’t mandated that training must be facilitated through the state). In 2013, Helfert and her team invested in the development of an online training portal. The portal launched in spring 2015 and contains information on Montana’s in-person training programs, which are managed by more than 300 volunteers. The portal offers users the option to order free training-related materials, download training completion certificates, access a training schedule and view a register of the individuals who have completed training. Although actual training must be completed in-person, Helfert says the online portal is crucial because it helps to effectively convey information to people. Development costs for the portal were minimal (approximately $40,000), and Helfert says it was definitely worth the expense. “It’s very valuable for servers and sellers to be trained, and the more transparent we can be about it through this online portal, the easier it will be for licensees, servers and sellers to be in compliance with the laws,” Helfert says. To further its commitment to providing education to its various partners, the division held the state’s first Alcohol Education Summit in May 2015. The free two-day event focused on the theme, “The Road to Change,” and welcomed 150 people from various sectors to join together and collaborate on different issues related to alcohol education. While many specialty breakout sessions were offered, much of the content presented was of relevance to everyone. “Our mission is to use this conference as a way of helping everyone understand the nature of everyone else’s job,” explains Lisa Scates, Alcohol Education Coordinator. Summit participants included law enforcement officials, youth coalition members, judges, prevention specialists, volunteer trainers, and more. Montana is home to multiple Native American reservations, and a large tribal representation participated in the summit as well. A NABCA grant covered most of the costs associated with the conference, and the agency also worked with several partners to facilitate the event, including the Missoula Police Department. At the conclusion of the summit, an awards ceremony was held to recognize community members and law enforcement personnel who have recently made outstanding contributions in their field. In addition to the summit, Montana’s Liquor Control Division also launched a new partnership with MADD in an effort to broaden outreach efforts to parents, teaching them how to effectively talk with their children about alcohol. As master trainers for the MADD program in Montana, the division’s staff members will train other people to present a 25-minute alcohol education program to parents in different communities. The agency is also implementing a new Power of Youth program in middle schools across the state, providing the schools with educational booklets and other resources. So what’s next for Montana? 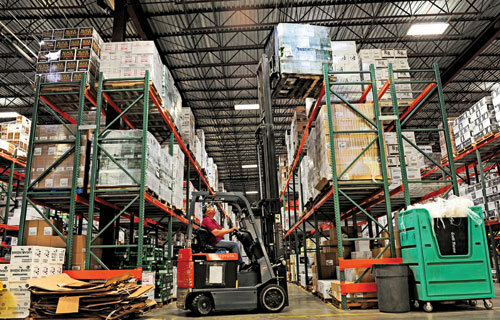 Looking ahead, Helfert says her priority for the upcoming year is to focus on increasing overall warehouse productivity. The division is currently investigating voice-pick technology, which is a technique that has been successfully implemented in other control states over the past several years. Helfert hopes to have the new technology in place within the next 12 months. 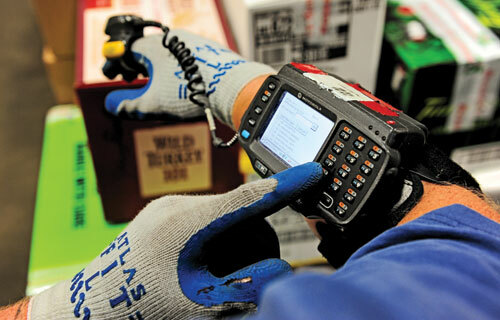 According to Stigen, the new system will work with the warehouse’s existing hand-held scanner system, which will result in a much lower implementation cost for the project than if new scanners had to be purchased. In addition to the convenience factor of voice-picking, the new system is expected to improve production as well. “We expect this new system to greatly improve our ability to ship and receive orders, and it could help us be up to more than 10% more efficient than we are today,” Stigen says. Additional benefits of voice-pick technology implementation include improved worker safety conditions of fork-lift and picking operations, and enhanced productivity in picking operations by way of reduced need for data entry on the shop floor and reduced time spent analyzing the display screen. Pay attention to customers. In addition to its focus on education and enforcement, a control state agency also functions as a business. By connecting with customers and getting a clear sense of what their key challenges and concerns are, you’ll be positioned to make the most well-informed decisions about what’s best for the agency. Plan ahead. When preparing to spearhead a large project, such as an online system overhaul or new warehouse technology implementation, there’s no such thing as too much planning. From project management to making sure the right people are involved in the process, Helfert stresses that the proper planning makes all the difference in the world. However, it’s also important to be flexible with your original plans. “Make sure you schedule time to evaluate things often, because regardless of how well you plan, things will change and you need to be able to easily adapt,” she says.